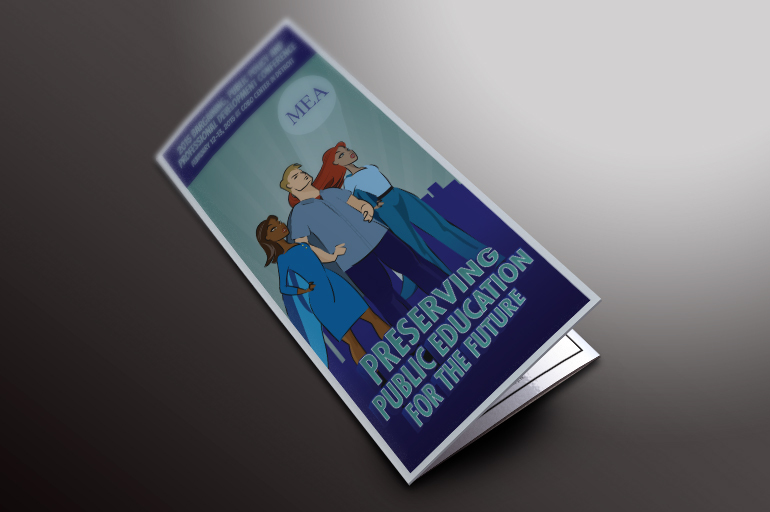 The theme of the 2015 Bargaining Conference was “Preserving Public Education for the Future.” Initially, two ideas for directions to take the conference materials occurred—one focused on the idea preserving things and the other focused on defending. 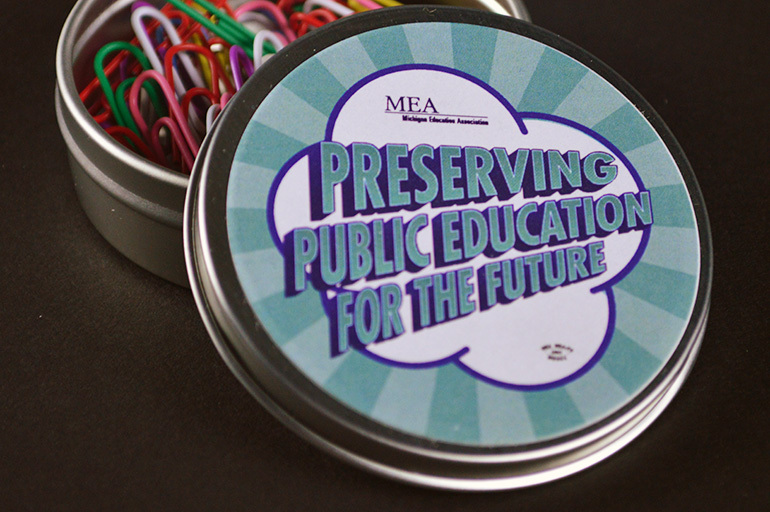 I chose to focus on the more proactive and positive view of the MEA where they defend public education, not just try to keep things the same as they always have been. 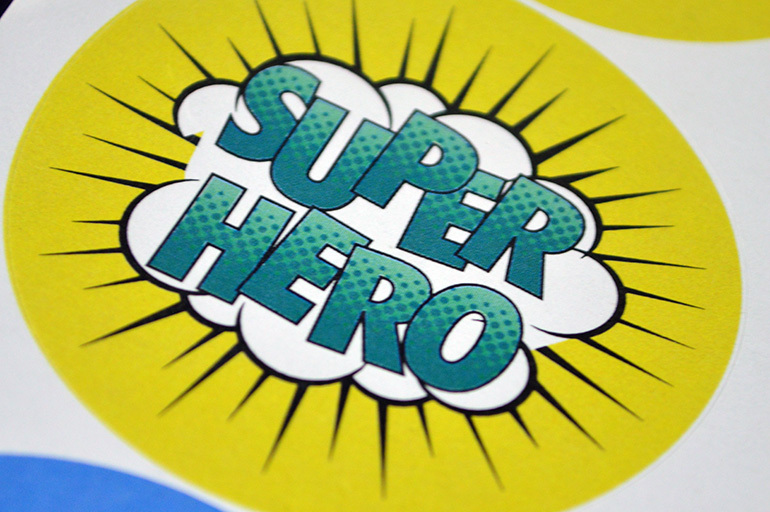 Teachers and other support staff are often unsung heroes. 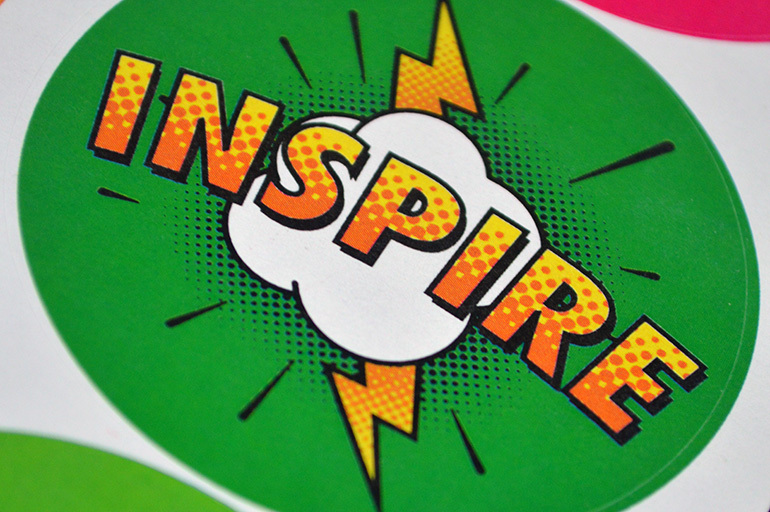 I wanted the conference materials to create a positive feeling about working in education for attendees. 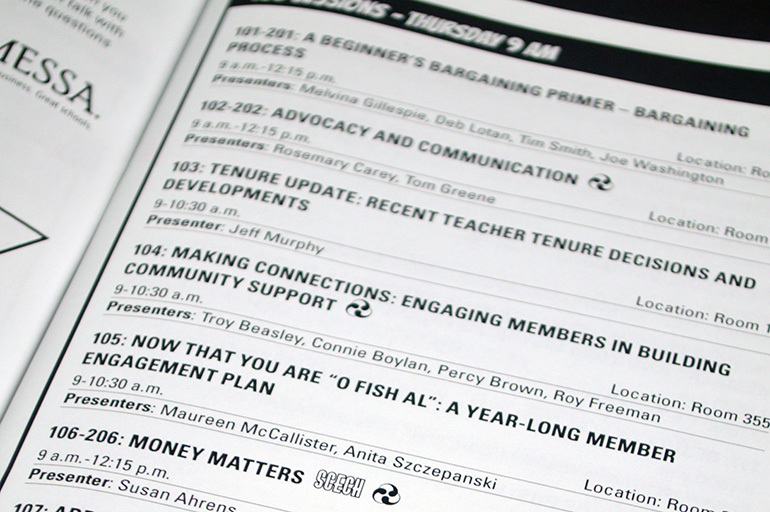 I also wanted to give the conference a more fun and interactive feeling than past conferences. 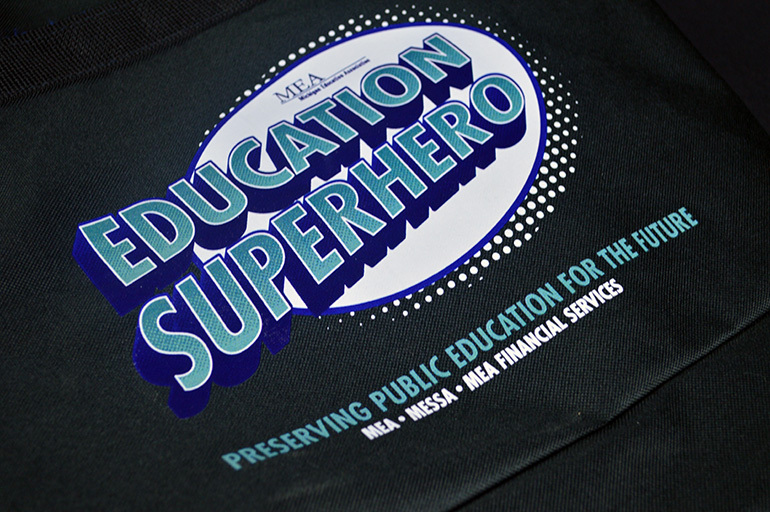 The program and announcement for the conference featured every day looking people with capes to indicate that they were everyday superheroes. 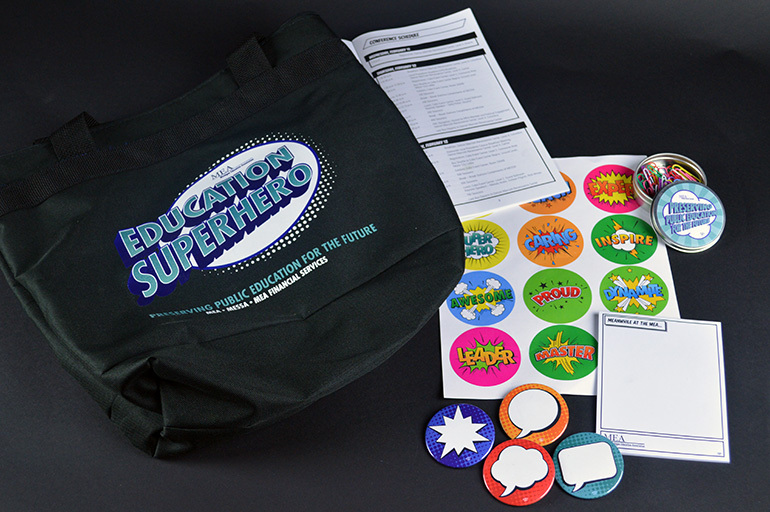 The bag of the event labeled attendees as education superheroes. 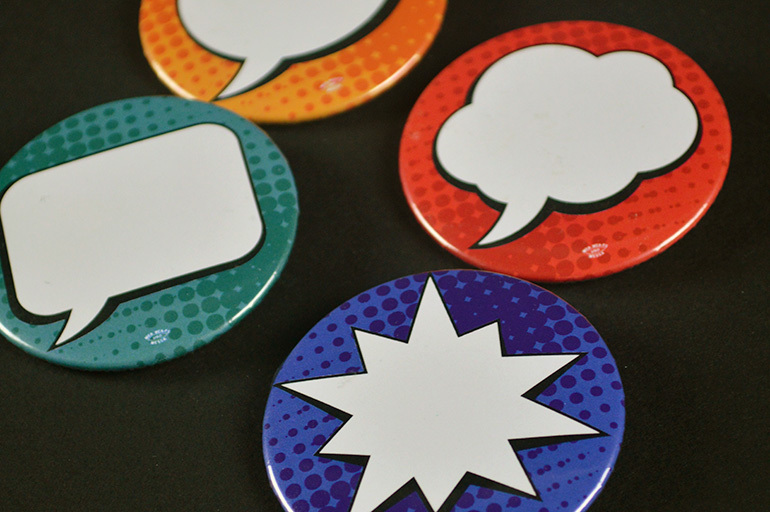 The remainder of the conference materials also focused on comic themed items. 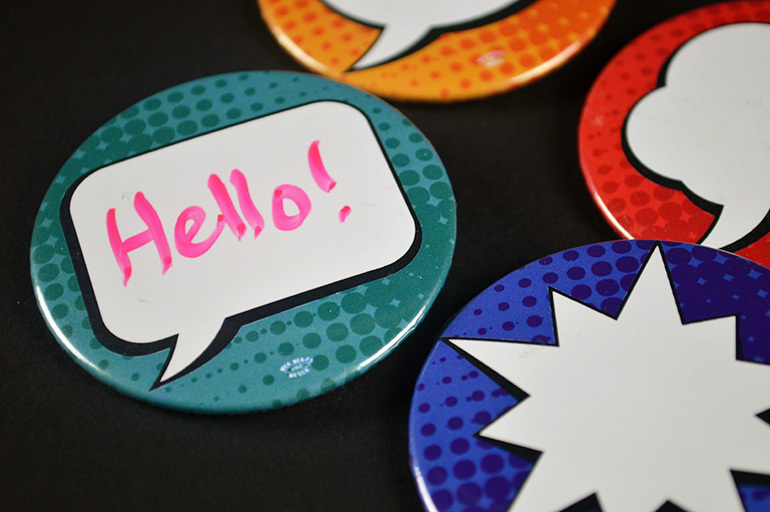 The attendees were given talk bubble buttons where they could use wipe off markers to write answers to questions asked throughout the day. 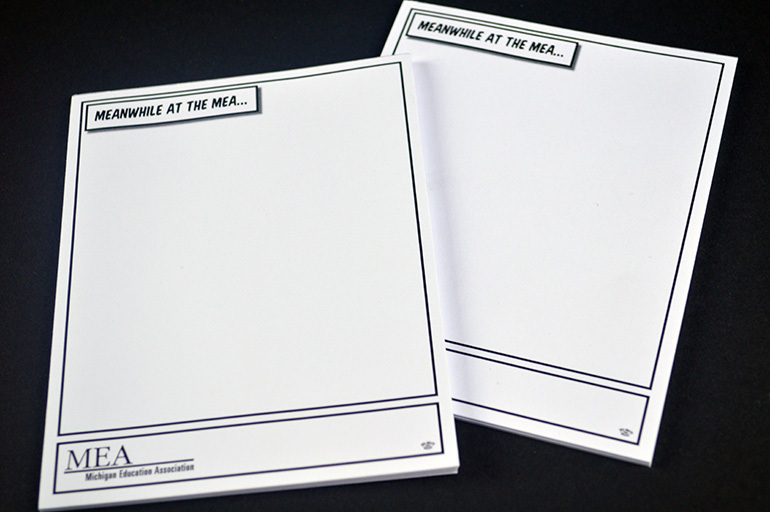 They also got a sheet of stickers highlighting how the MEA feels about their members and a notepad that looks like a comic book block. 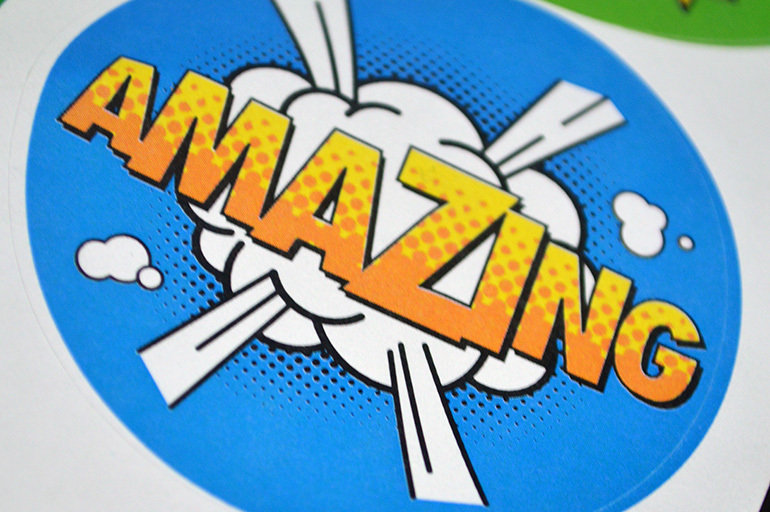 The final item was a superhero themed photo booth where members could dress like superheroes. The pictures were shared with all conference attendees during lunch. The conference was also the first interactive conference where members could use a hashtag to talk about the conference on Twitter and Facebook.